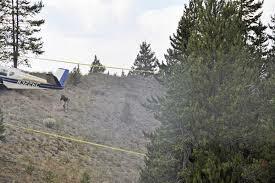 A teenage girl who survived a small-plane crash in the craggy, thickly forested mountains of north-central Washington state emerged from the wilderness after hiking "for a couple of days" and was picked up by a motorist who drove her to safety, authorities said Monday. But the fate of her two step-grandparents, who were also on board, remained unclear. Family members alerted authorities after the Beech A-35 failed to complete its flight from Kalispell, Montana, to Lynden, Washington, on Saturday afternoon. Rescuers narrowed down a search area based on cellphone data and typical flight patterns. But there was no sign of the aircraft or its occupants until Autumn Veatch, 16, followed a trail to state Route 20, near the east entrance to North Cascades National Park. A motorist picked her up Monday afternoon and drove her 30 miles east to a general store in Mazama, where employees called 911. The Aero Methow Rescue Service sent a paramedic team to check her out before she was taken to a hospital in Brewster for treatment of what appeared to be minor injuries, said Cindy Button, director of services at the organization. "Our initial information is she sustained no life-threatening injuries and is somewhat dehydrated due to being out in the elements," said Scott Graham, CEO of Three Rivers Hospital. Okanogan County Sheriff Frank Rogers said Monday afternoon that the girl had been "walking for a couple of days." He declined to comment on the status of the other two people aboard the plane. Rescuers celebrated Veatch's survival, but they immediately returned their focus to finding the wreckage, aided by Veatch's description of the crash site, said Lt. Col. Jeffrey Lustick of the Civil Air Patrol. Lustick said he could not confirm any details about the condition of the grandparents, Leland and Sharon Bowman of Marion, Montana. "We're so happy about this," Lustick said. "I've spent 30 years in the Civil Air Patrol and in search-and-rescue. Moments of joy like this can be hard to find." Lustick said he had spoken with Veatch's father, who said his daughter told him the plane crashed and caught fire after flying into a bank of clouds. She remained at the crash site for a day before deciding to hike down, eventually finding a trail and following it to the trailhead on Highway 20. Five aircraft equipped with special radios for detecting the missing plane's emergency-locator transmitter searched the mountains Monday, while ground crews focused on areas between Mazama and Rainy Pass, officials said. The planes halted their search for the night by 8 p.m. while a couple of Navy helicopters from the Whidbey Island Naval Air Station continued to sweep the area, said Barbara LaBoe, a state Transportation Department spokeswoman. The crashed plane crossed the Idaho-Washington border about 2:20 p.m. PDT Saturday, but it dropped off the radar near Omak, Washington, about an hour later, transportation officials said. The last phone signal from one of the plane's occupants was detected around 3:50 p.m.
Charlie's Comments: Surviving a plane crash often presents the decision to remain at the crash site in case Air Traffic tracked the plane prior to crashing and condensing the search area, or if the plane had an automatic beacon pinging on 406 MHz for rescue. The crash site often presents a large ground to air signal for any airborne searchers. The crash site may also provide burning debris which could be maintained for heat, a signal and to purify water. The crash site debris may also provide other survival items use ful for a shelter, ground insulation, building snares and tools. 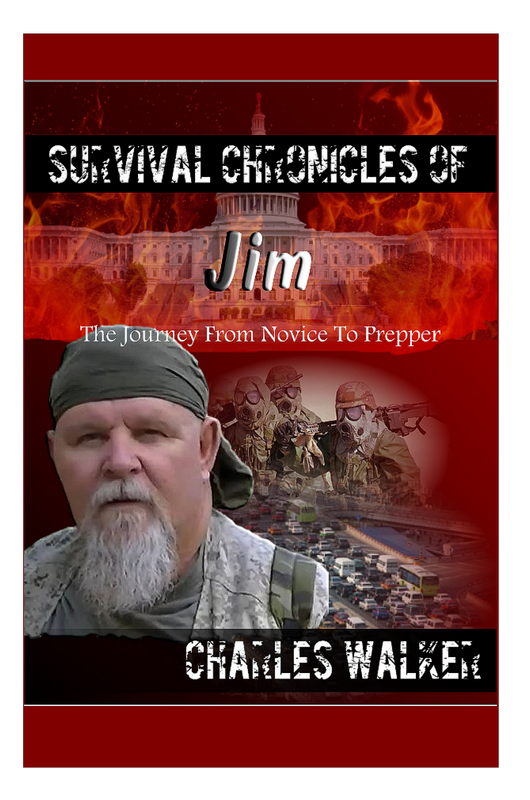 A person should only try and walk out if they have a reasonable belief that they know which direction help or civilization is and have the physical stamina and survival items to survive the hike out. If hiking out, then leaving a note at the crash site, listing your intentions and direction, and marking a trail would increase your odds of being found.